Modern home office working place concept. Table top work area with pastel color. 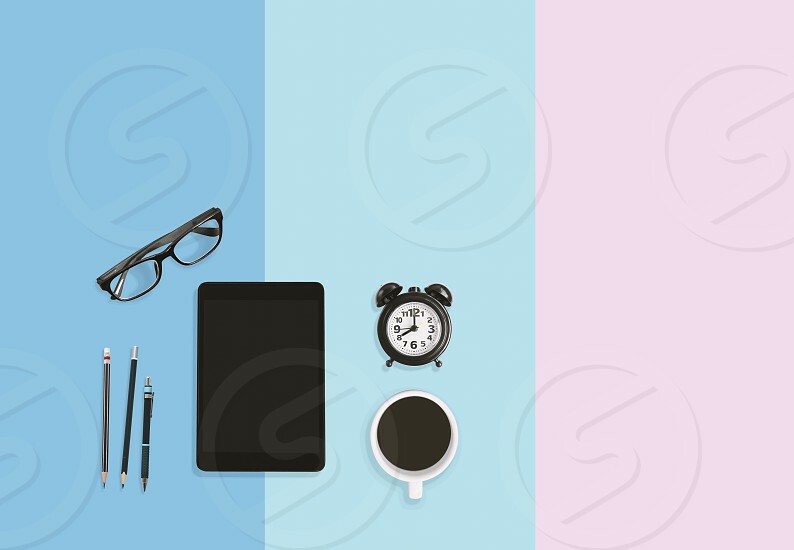 Alarm clock, Tablet, Eyeglasses, A cup of black coffee and pencils on sweet pastel background with copy space.